Francis Dashwood, 11th Baron le Despencer PC FRS (December 1708 – 11 December 1781) was an English rake and politician, Chancellor of the Exchequer (1762–1763) and founder of the Hellfire Club. Dashwood spent his youth and early adulthood abroad gaining a reputation for notoriety while travelling around Europe. He impersonated Charles XII while in Russia and attempted to seduce Tsarina Anne, and was later expelled from the Papal states. His sojourns abroad did also include classical aspects of the European Grand Tour. After travelling to France and then returning via Germany to England between January and September 1726, he did not venture abroad again until 1729, when he was away for two years returning in 1731. During this time he visited Italy (he was to return to Italy between 1739 and 1741 when stayed in Florence and Rome and visited Leghorn and the excavations at Herculaneum). While in Italy he befriended the philosopher and theologian Antonio Niccolini (1701–1769). In 1733—between the visits to Italy—Dashwood accompanied George, Lord Forbes, envoy-extraordinary, to St Petersburg, stopping on the way at Copenhagen. In the opinion of Patrick Woodland, the author of his biography in the ODNB (2004), "His intelligent and discriminating diary of this expedition offers important first-hand descriptions of both capitals at this date". In 1732 Dashwood formed a dining club called the Society of Dilettanti with around 40 charter members (some of whom may have been members of Wharton's original club) who had returned from the Grand Tour with a greater appreciation of classical art. 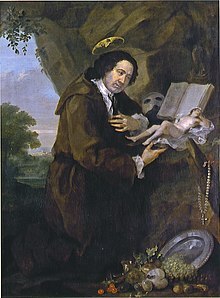 William Hogarth drew Sir Francis Dashwood at his Devotions for Dilettante Viscount Boyne. "[I]f not the actual projector and founder of the Dilettanti Society, he was certainly its leading member in 1736". He took a prominent part in the proceedings of the Dilettanti Society, and in 1742 George Knapton painted Dashwood's portrait for the Society. On 2 March 1746, when John, Earl of Sandwich was suspended from his office of archmaster for "his misbehaviour to and contempt of the Society", Dashwood was elected in his place. Dashwood presented to the King various petitions from the society when it was seeking to acquire a permanent home. In 1740, Dashwood was in Florence with Horace Walpole, Gray, and others, and shortly afterwards, got into trouble with Sir Horace Mann; there he had also made the acquaintance of Lady Mary Wortley-Montagu. By 1743 Horace Walpole was not impressed and described the Dilettanti Society as "a club for which the nominal qualification is having been to Italy, and the real one, being drunk; the two chiefs are Lord Middlesex and Sir Francis Dashwood, who were seldom sober the whole time they were in Italy". However, the society did increasingly have a serious side, and Dashwood's work in that field resulted in his election as a Fellow of the Royal Society (FRS) in June 1746, and a fellow of the Society of Antiquaries of London (FSA) in June 1769. He also became a member of the Lincoln Club in the mid-1740s and of the Society for the Encouragement of Arts, Manufactures, and Commerce in 1754. He had connections with the Spalding Society and became vice-president of both the Foundling Hospital and the General Medical Asylum. Dashwood in Divan Club attire. In 1744 he and fellow Dilettante the Earl of Sandwich founded the short-lived Divan Club for those who had visited the Ottoman Empire to share their experiences, but this club was disbanded two years later. On his return to England he obtained a minor post in the household of Frederick Lewis, Prince of Wales, and this connection, coupled with the dismissal of his uncle the Earl of Westmorland from his colonelcy of the first troop of horse guards, made Dashwood a violent opponent of Walpole's administration. He sponsored alleged spy-master Lord Melcombe’s membership of the Dilettanti. During the general election of 1741 Dashwood fought vigorously against Walpole's supporters, and secured a seat for himself at New Romney on 5 May. In Parliament he followed Samuel Sandys, 1st Baron Sandys, and vehemently attacked Sir Robert Walpole, declaring that abroad he was looked upon with contempt. Walpole's fall made no difference to Dashwood's position, and as a courtier of Frederick Lewis he was in chronic opposition to all George II's governments. In 1747 he introduced a poor-relief bill that recommended commissioning public works, such as the caves he later had excavated at West Wycombe Park, to combat unemployment, but it failed to pass. He was too young to have been a member of the very first Hellfire Club founded by Philip, Duke of Wharton in 1719 and disbanded in 1721, but he and John Montagu, 4th Earl of Sandwich are alleged to have been members of a Hellfire Club that met at the George and Vulture Inn throughout the 1730s. According to the 1779 book Nocturnal Revels, on the Grand Tour he had visited various religious seminaries, "founded, as it were, in direct contradiction to Nature and Reason; on his return to England, [he] thought that a burlesque Institution in the name of St Francis, would mark the absurdity of such Societies; and in lieu of the austerities and abstemiousness there practised, substitute convivial gaiety, unrestrained hilarity, and social felicity". The first meeting of the group known facetiously as Brotherhood of St. Francis of Wycombe, Order of Knights of West Wycombe was held at Sir Francis' family home in West Wycombe on Walpurgis Night in 1752. The initial meeting was something of a failure and the club subsequently moved their meetings to Medmenham Abbey (about 6 miles from West Wycombe) where they called themselves the Monks of Medmenham. About 1755 Dashwood founded the famous "Hell-fire Club", or "monks of Medmenham Abbey". Medmenham Abbey, formerly belonging to the Cistercian order, was beautifully situated on the banks of the Thames near Marlow, Buckinghamshire. It was rented, from Francis Duffield, by Dashwood, his half-brother Sir John Dashwood-King, his cousin Sir Thomas Stapleton, Paul Whitehead, John Wilkes, and others to the number of twelve, who frequently resorted thither during the summer. They had it rebuilt by the architect Nicholas Revett in the style of the 18th century Gothic revival. It is thought that Hogarth may have executed murals for this building; none, however, survive. Over the grand entrance was placed, in stained glass, the famous inscription on Rabelais' abbey of Theleme, "Fay ce que voudras", the "monks" were called Franciscans, from Dashwood's Christian name, and they amused themselves with obscene parodies of Franciscan rites, and with orgies of drunkenness and debauchery which even John Almon, himself no prude, shrank from describing. Dashwood, the most profane of that blasphemous crew, acted as a sort of high priest, and used a communion cup to pour out libations to heathen deities. He had not even the excuse of comparative youth to palliate his conduct; he was approaching fifty, and thus ten years older than Thomas Potter whom Almon describes as the worst of the set and the corrupter of Wilkes; he was nearly twenty years older than Wilkes, and two years older than "the aged Paul" (Whitehead), who acted as secretary and steward of the order of ill-fame, and was branded by Charles Churchill as "a disgrace to manhood". As a contrast to Medmenham Abbey, Dashwood erected a church on a neighbouring hill, which, as Churchill put it in "The Ghost", might "serve for show, if not for prayer", and Wilkes was equally caustic in his references to Dashwood's church "built on the top of a hill for the convenience and devotion of the town at the bottom of it". On 15 April 1754 Dashwood was re-elected to parliament for New Romney, and when the Buckinghamshire militia was raised on the outbreak of the Seven Years' War in 1757, Dashwood became its first colonel with Wilkes as his lieutenant-colonel. In the same year he made a praiseworthy effort to save the life of Admiral John Byng. On 28 March 1761 he found a new seat in Parliament for Weymouth and Melcombe Regis (UK Parliament constituency); he was re-elected on 9 June 1762 on his appointment as Chancellor of the Exchequer, which he owed to his dependence upon Bute. "Of financial knowledge he did not possess the rudiments, and his ignorance was all the more conspicuous from the great financial ability of his predecessor Legge. His budget speech was so confused and incapable that it was received with shouts of laughter. An excise of four shillings in the hogshead, to be paid by the grower, which he imposed on cider and perry, raised a resistance through the cider counties hardly less furious than that which had been directed against the excise scheme of Walpole". Dashwood accordingly retired with Bute from the ministry on 8 April 1763, receiving the sinecure Keepership of the Wardrobe. He was now premier baronet of England, and in the same year he was made Lord-Lieutenant of Buckinghamshire, being succeeded in the colonelcy of the militia by John Wilkes. As Lord Le Despencer he now sank into comparative respectability and insignificance. He took a disgraceful part with John Montagu, 4th Earl of Sandwich, in raking up charges against their common friend Wilkes in connection with the Essay on Woman, and during Lord North's long administration from 1770 to 1781 he was joint Postmaster General. When, however, Chatham fell down in a swoon during his last speech in the House of Lords, Despencer was almost the only peer who came to his assistance. He died at West Wycombe after a long illness on 11 December 1781, and was buried in the mausoleum he had built there. His wife had died on 19 January 1769, and was also buried at Wycombe. On 29 May 1744 Horace Walpole wrote: "Dashwood (Lady Carteret's quondam lover) has stolen a great fortune, a Miss Bateman; but this match was not effected, and on 19 December 1745 Dashwood married at St. George's, Hanover Square, Sarah, daughter of George Gould of Iver, Buckinghamshire, and widow of Sir Richard Ellis, third baronet of Wyham, Lincolnshire, who died on 14 January 1742. Horace Walpole described her as "a poor forlorn Presbyterian prude"; His marriage had no effect upon Dashwood's profligacy; according to Wraxall he "far exceeded in licentiousness of conduct any model exhibited since Charles II". Charles Brockden Brown in his 1798 novel Wieland describes the character Carwin as "specious seducer Dashwood." J. Meade Falkner in his 1895 novel The Lost Stradivarius describes the necromancer Adrian Temple as "acquainted with Francis Dashwood, the notorious Lord le Despencer ... many a winter's night saw him riding through the misty Thames meadows to the door of the sham Franciscan abbey ... of Medmenham." Robert Anton Wilson in his 1975 The Illuminatus! Trilogy and 1980–81 Schrödinger's Cat Trilogy. James Herbert in the 1994 novel The Ghosts of Sleath. Eddie Campbell in the 1994 four-issue story arc Warped Notions for the comic book Hellblazer. Kathy Reichs in the 2001 Novel Fatal Voyage. Carrie Bebris in her 2005 Regency novel Suspense and Sensibility. Mike Carey in the 2006 four-issue story arc Reasons to Be Cheerful for the comic book Hellblazer. Kage Baker in her 2007 short story "Hellfire at Twilight". Tom Knox in the 2009 novel The Genesis Secret. Diana Gabaldon in her 1998 novella Lord John and the Hellfire Club. Received a name check from Vivian Stanshall at the end of side two of the original recording of Mike Oldfield's Tubular Bells, as found in the Mike Oldfield Boxed collection (Virgin Records – CDBOX1). The Inkubus Sukkubus song 'Hell-Fire' from the album Vampyre Erotica mentions him, the motto Do What Thou Will, and Breast of Venus. Appears in the anime Le Chevalier D'Eon as the leader of a powerful cult – the Revolutionary Order – based in Medmenham Abbey, Medmenham, England, that seeks to manipulate European powers using magical powers latent in the biblical Book of Psalms. The Prince Regent in Blackadder III refers to the Hellfire Club when he says "Honestly Blackadder, I don't know why I'm bothering to get dressed. As soon as I get to the Naughty Hellfire Club, I'll be debagged and radished for non-payment of debts!" ^ Dashwood was baptised in St Botolph-without-Bishopsgate on 23 December 1708. ^ Francis Dashwood's father, Sir Francis Dashwood, 1st Baronet, married four times; his second wife was Mary, the eldest daughter of Vere Fane, 4th Earl of Westmorland, Baron Le Despencer and Burghersh. Francis and Mary had two children: a son Francis and a daughter Rachael. Sir Francis also had two surviving daughters from his first marriage, and two daughters and two sons from his third. So Francis Dashwood had a sister Rachael, and six half siblings. ^ Dashwood's portrait, painted by George Knapton, belongs to the Dilettanti Society; he is represented as one of the monks of Medmenham, holding a goblet inscribed "Matri Sanctorum", and in an attitude of devotion before a figure of the Venus de' Medici ; the motive of the picture is "both indecorous and profane" Another portrait of Dashwood, painted by Hogarth, has been engraved, and a third, anonymous, in 1900 belonged to Viscount Dillon at Ditchley, it is reproduced in Barker's edition of Walpole's Memoirs of George III. ^ a b c d Woodland 2004. ^ Pollard 1901, p. 112. ^ Edmondson 1785, p. 117. ^ Pollard 1901, pp. 112–113 Horace Wapole, Memoirs of George III, ed. Barker, i. 237 ; Cust, Dilettanti Soc. pp. 9-10. ^ Ashe 2000, p. 100. ^ Pollard 1901, p. 113 cites Cust, p. 9. ^ Pollard 1901, p. 113 cites Cust, pp. 30, 61 sqq. ^ Pollard 1901, p. 113 cites Horace Walpole Letters, i. 240. ^ Ashe 2000, p. 102. ^ Pollard 1901, p. 113 cites Horace Walpole, Letters, ed. Cunningham, i. 136. ^ Ashe 2000, p. 104. ^ a b c Pollard 1901, p. 113. ^ BBC staff 2003, p. 1. ^ Pollard 1901, p. 113 cf. Bubb Dodington, Diary, ed. 1809, pp. 6, 7, 59, 72. ^ Pollard 1901, p. 113 cites Thomson, Royal Soc. App. p. xliv. ^ Pollard 1901, p. 114 cites Cust, Dilettanti Soc. p. 217; Almon, Mem. of Wilkes, iii. 59. ^ Pollard 1901, p. 114 Walpole's Memoirs of George III, cites 1894, i. 204. ^ Ashe 2000, p. 65. ^ Ashe 2000, p. 111. ^ Ashe 2000, p. 112. ^ a b c Ashe 2000, p. 118. ^ Pollard 1901, p. 113 cites John Almon, Mem. and Corr. of John Wilkes, iii. 60-3. ^ Pollard 1901, p. 113 notes see Charles Johnston, Chrysal, 1768, iii. 231-280, for a full account of the proceedings of the "monks"). ^ Pollard 1901, p. 113 cite Wilkes Memoirs, ed. Almon, iii. 57-59. ^ Pollard 1901, p. 114 cites Walpole, Mem. of George II, ii. 318, 323 sqq., 336. ^ Pollard 1901, p. 114 cites Lecky, History, ed. 1892, iii. 224. ^ a b c d Pollard 1901, p. 114. ^ Pollard 1901, p. 114 cites Gent. Mag. 1781, p. 594. ^ Pollard 1901, p. 113 cites Horace Walpole Letters, i. 303. ^ Pollard 1901, p. 113 cites Reg. of Marr., St. George's, Hanover Square, Harl. Soc. i. 35. ^ Pollard 1901, p. 113 cites Horace Walpole Letters, ii. 11. ^ Pollard 1901, p. 113 cites Wraxall Memoirs, ed. Wheatley, ii. 18-19. Ashe, Geoffrey (2000). The Hell-Fire Clubs: A History of Anti-Morality (Revised, paperback ed.). Gloucestershire: Sutton Publishing. ISBN 0-7509-24020. BBC staff (2003). "Sir Francis's Folly". BBC. Retrieved 19 January 2009. Edmondson, Joseph (1785). The present peerages: with plates of arms, and an introduction to heraldry ; together with several useful lists incident to the work. Printed for J. Dodsley. This article incorporates text from a publication now in the public domain: Debrett, John, ed. (1820). Debrett's Correct Peerage of England, Scotland, and Ireland. 1 (13 ed.). London: Printed G. Woodall, Angel Court, Skinner Street. Courthope's, Burke's, and G. E. Cokayne's Complete Peerages. This page was last edited on 20 April 2019, at 14:10 (UTC).